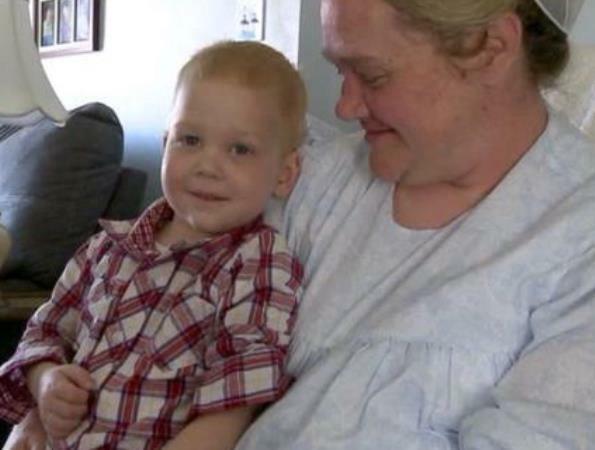 The heart of a 22-month-old boy from Pennsylvania in America started beating again after a staggering 101 minutes of resuscitation efforts. And doctors couldn’t believe he appeared to have suffered no brain damage. The boy, Gardell Martin, and two of his brothers were playing outside when he fell into an icy stream that runs through the family property. The strong current washed him away and his brothers called for help. His mother, Rose Martin, called an ambulance while her two teenage daughters searched for their brother along the banks of the stream. A neighbour eventually found him 400m from their house. The ambulance arrived shortly afterwards and emergency personnel tried everything to get his heart going again. Resuscitation efforts lasted 101 minutes – in the ambulance, in a medical helicopter and finally in the emergency unit of the Geisinger Medical Center, where a team of 30 doctors and nurses finally got his heart beating again. It was hypothermia suffered by the boy that probably saved his life because it slowed his metabolism, which protected his internal organs to an extent. “I don’t doubt for a moment it was a miracle,” his mother said afterwards.